Happiness is union with God, says Bhagawan. Therefore, the first step to move closer to God on the path of spirituality is to be happy. The external manifestation of inner happiness is a cheerful face, a face that is ever smiling. As it is rightly said, face is the index of the mind. Bhagawan has always stressed on the need to remain happy. Right from the earlier years, it was not uncommon to hear Bhagawan in informal interactions, referring to a castor oil face. He would insist that one should never put on a castor oil face. He gave us the formula of the ABC of life – Always Be Cheerful. However, surprisingly, this phrase of “a castor oil face” got into His Public Discourses much later. A quick search into His Discourses revealed that Swami started using this phrase very often only from the year 2006 onwards. One possible explanation could be that looking at Swami’s physical body going through so much of suffering, devotees would have perhaps put up pale faces and sad looks. In response, the Master, the ideal role model that He ever is, demonstrated to all as to how one can transcend physical suffering and still be ever cheerful and smiling. 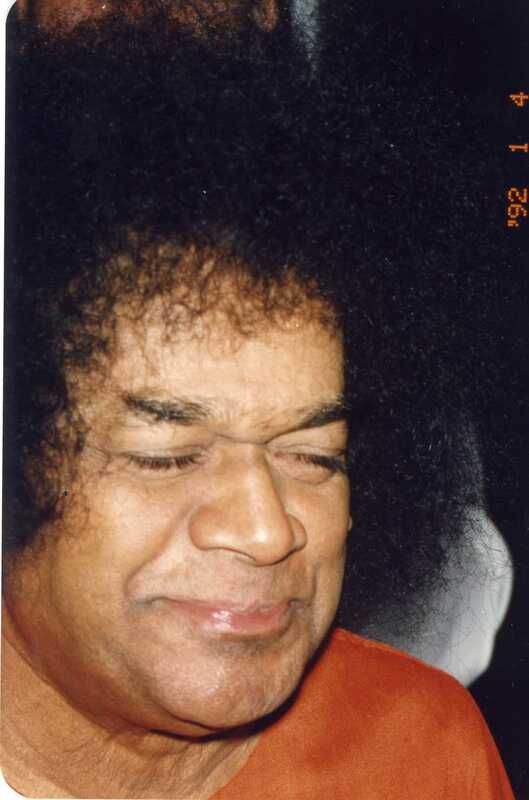 In the seven audio extracts in this blog post, Bhagawan refers to His favourite phrase of a “castor oil face” and appeals to all His devotees and students to never put up such a face and to be ever smiling and cheerful, irrespective of the challenges of life. These seven extracts have been taken from the Discourses delivered by Bhagawan during the years 2006, 2007, 2008 and 2009. 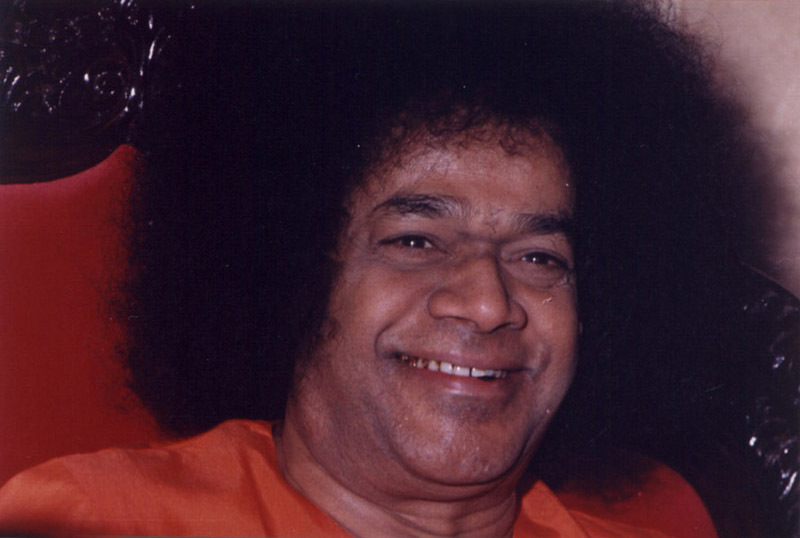 In Clip-1 Bhagawan advises us that we must smile and also make others smile. In Clip-2 He asks us to be always happy. Pleasure, He says, is after all an interval between two pains. Clip-3 talks about reaction, reflection and resound. 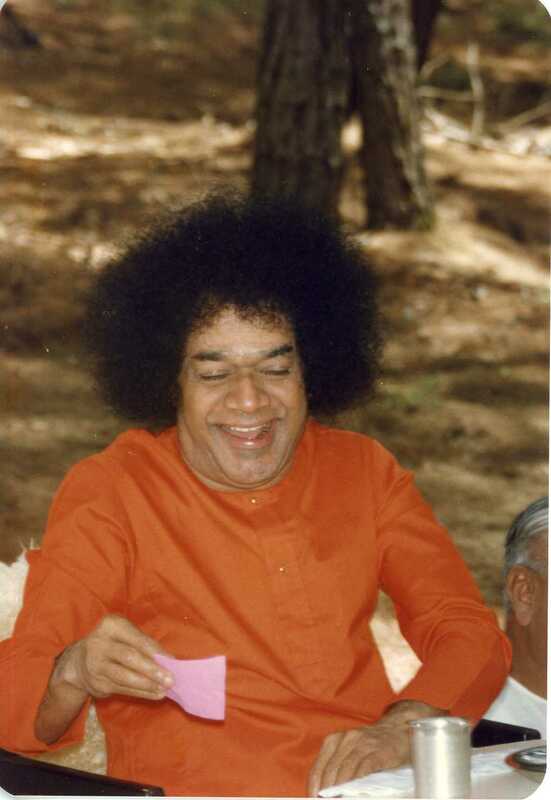 Bhagawan explains how whatever we get depends on what we give. In Clip-4 Bhagawan states that happiness is union with God. We must never fear examinations and challenges of life. Clip-5 explains how love comes naturally to a person who is ever smiling. 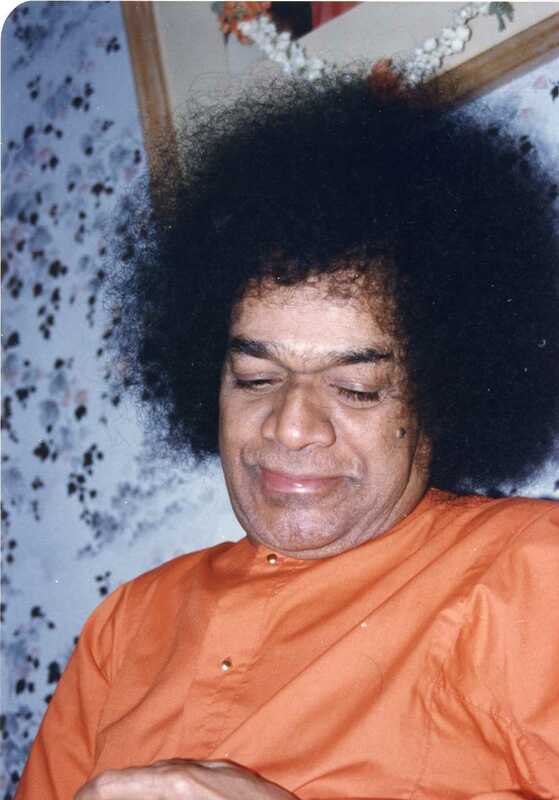 In Clip-6 Bhagawan advises us not to worry about examinations and challenges of life. He says the quicker we pass these, the quicker we will be promoted to the next higher class or phase of life. Smile and makes others smile! Students, boys and girls; all of you should pray for peace of the whole world. The status of Bharath is very great. From ancient times it has always strived for peace of the world. But today, on account of the influence of the English language and infatuation (with modern culture), the peace has turned into pieces. We must be peaceful and must not come down to pieces. You may learn any language, but have peace in your heart. You must lead your life being mentally happy and smiling always. You must not put on a castor oil face under any circumstances. You must always be smiling. Those who look at you must also smile. Therefore, you must smile and also make others smile. You must be happy and make others happy. Peace is within us. It is of no use searching outside. It is right within you. Truth and Love, both are within you. Living with love, you can achieve anything. Love is the biggest property of Swami! My duty is to distribute that Love to all. If you receive this in the right manner and understand it correctly, it will be good for you. Other than Love, nothing else can protect you. Therefore, all should understand this principle of Love. All are brothers and sisters. However, being true brothers and sisters, there are differences even between them. So, by knowing the principle of Love, we can know everything else. Be always smiling, smiling! Never put on a castor oil face. Then only our lives will be exemplary and ideal. We must always be happy. After all, what do we lack? Everything is within us. Some are not able to bear the difficulties that they come across. However, if we are a little patient, then that (difficulties) will also give us happiness. Pleasure is an interval between two pains. The snake has poison in its fangs. The scorpion has got poison in its tail. Every being has poison in different places. The fish carries poison in its throat. That is why, while cleaning the fish, people pluck out that part and throw it away. Thus, every creature has poison in a particular location (of the body). Some (people) have poison in their words. Whatever words they utter, it is like poison. It causes pain to everybody’s mind. Therefore, talk sweetly. Do not hurt anybody with your words. Where is the poison in a human body? In a human body, the poison is there from head to toe. Kicking with the leg is poison. Slapping with the hand is poison. Speaking (bitter) words is also poison. Some look at others and laugh cynically. There is poison even in this laughter. But, there is no poison in a sincere smile. There is no poison in a loving smile. Swami smiles at everybody as He comes along (for Darshan). All wait eagerly for that very smile. One should have a smiling face. One should not have a castor oil face. The one with a castor oil face has anger, hatred and jealousy. The one with these three qualities will have a castor oil face. Therefore, one should never put up a castor oil face. The one with a castor oil face looks like a drunkard. We must not put up such a face. We must always have a smiling face. Even when somebody abuses you, you must smile. Keep smiling for everything and even they will smile. They will not abuse you. Enquire, “How are you brother?” Even if they are your enemy, they too will enquire, “How are you brother?” Thus, the response will be in accordance to the sound. Reaction, Reflection and Resound. As is your action, so will be the action from the opposite side. As is your sound, so will you get the resound. Therefore, everything (in this world) is Reaction, Reflection and Resound. If we enquire (politely), “What Sir, how are you?”, they too will enquire in return, “What Sir, how are you?”. However, if you shout, “How are you?” they too will shout back in the same way. Therefore, Reaction, Reflection and Resound are all intermingled. We must be good, talk good and conduct ourselves in a good manner. These are the main human qualities. Happiness is union with God! Students, do not waste time. (If you do so), you will become one who makes the sacred time unsacred. Use the time in a sacred way and experience happiness there from. Human being is one of bliss, full of bliss. Therefore, you must always be blissful. Never be depressed on account of desires. Happiness is union with God. Therefore, you must be ever smiling and happy. You must not put up a castor oil in spite of having to face any examination (challenges of life). You must be always smiling. The more enthusiastic you are, the more the inner (Divine) Principle will blossom forth. Your happiness is the cause for your enthusiasm. Thus, be happy. What is the worry you have? There is no worry at all. If you studying well for the forthcoming Examinations, then why should you have any fear? It is only the one who has not studied who has to worry. If you are studying well, that (effort) itself will fetch you marks. Study well, pass well, earn good ranks and uplift the country. Devotion does not mean merely worship, meditation and penance. True devotion means love for God, unwavering love. It must be changeless. It must always be constant. It must be steady. There is nothing beyond love. Anything may happen to the body but nothing can happen to the love within. Love is unwavering, changeless and can never be destroyed. You must safeguard and maintain such love. Then you will easily attain Divinity. Because of our association with this world, the demonic qualities are enhanced. Not only demonic qualities, desire and anger also develop in us. They are our greatest enemies. Be always with love and smile. If you keep smiling, love will come naturally to you. However, the faces of some people are so serious, like castor oil faces. You must always keep smiling. God always smiles. He never entertains any worry. There is no sadness or sorrow in Him. I always smile and smile. That is why I have no suffering. I am always healthy. God has no hatred towards anybody. He looks at everybody and smiles always. The eternal smile is the most important aspect of God. Where there is the never changing smile, hatred can never come there. Therefore, no one will cause pain to the one who smiles. So, always have a smiling face. You should never put up a castor face. When examinations (challenges of life) come, you start worrying that examinations have come close. Yes, they may have come close. You must consider that as for your good only. Examinations have come soon and you will also pass soon. You must take this in the right spirit. You may think that it would have been better if the examinations were delayed. This is not good. The quicker it comes, the better. The quicker it comes, the quicker we will pass. We will then move on to the next higher class. We must be in a hurry to go to the next higher class. This hurry will not lead to any worry. And with worry you cannot be in a hurry. We must not hate anybody. Till this moment, I have never had any anger or hatred towards anybody. That is why everybody loves Me. There is only Love in Me. Wherever I am, people come after Me. It is this Love which brings everybody closer. However, there are some who have hatred towards Me. That is their own imagination and has nothing to do with Me. I have no anger towards anyone. People may wonder, how come Swami is so peaceful, (though) He sees so many people. For Me, peace is My very nature. I am always smiling. I never put on a sad face or a castor oil face. For Me it is always smiling and smiling. God asks you to be always happy. When you all are happy, it gives me great happiness. If you do not have happiness, then I too do not have happiness. Therefore, your happiness is My reflection. If you create hatred and entertain the same, it is your fault and not My fault. 01-According to Bhagawan, what must be our fervent prayer? 02-Where is peace available according to Bhagawan? 03-What is Bhagawan’s biggest property? 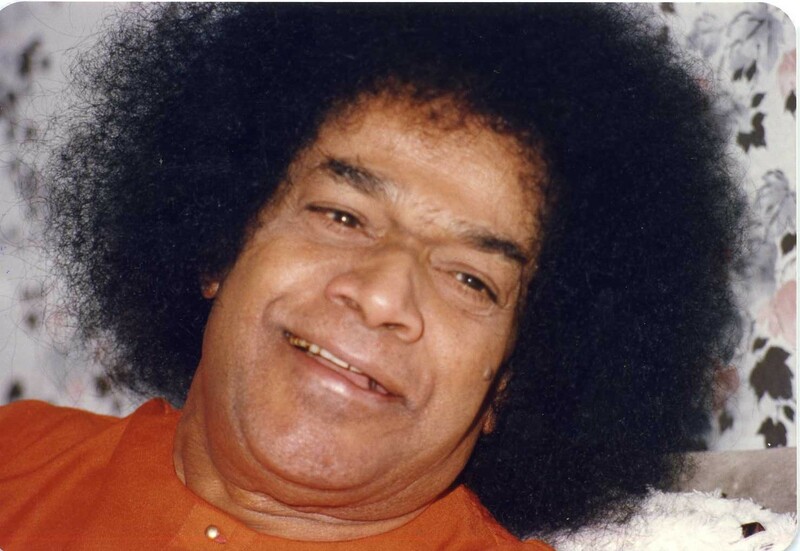 04-What is the quality that Bhagawan expects us to have to face the challenges of life? 05-In which part of their body, does the snake, scorpion and fish have poison? 06-In which part of the body, do human beings have poison? 07-What are the three qualities that make a person have a castor oil face? 08- How according to Bhagawan, should we respond to a person who abuses us? 09-Bhagawan says that everything in this world is reaction, reflection and resound. Explain. 10-What should we do to enable the inner Divine Principle to blossom forth? 11-Who should be the one who should be truly worried of Examinations? 13-What are the two qualities that Bhagawan calls as our greatest enemies? 14-What is the right spirit with which we must face the examinations or challenges of life? 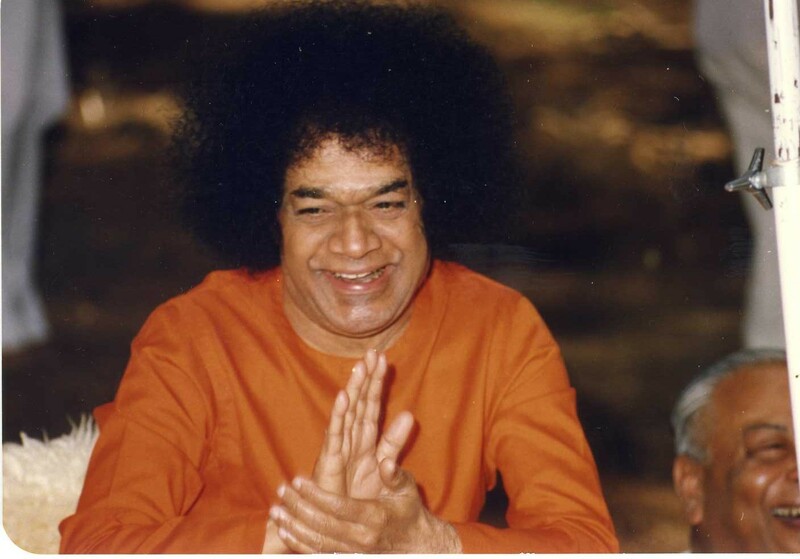 15-What gives the greatest happiness to Bhagawan?